The typical gym is loaded with germs, bacteria, grime and other unsavory particles. This is precisely why some people opt to work out at home or outdoors. It is imperative that you keep you fitness facility perfectly clean and make it clear to prospective members and current members that your gym is pristine. Enhanced cleanliness will boost your membership base and also reduce the odds of sickness and injury. Let's take a look at some of the top hidden health risks in the gym and examine some solutions to prevent sickness and injury. 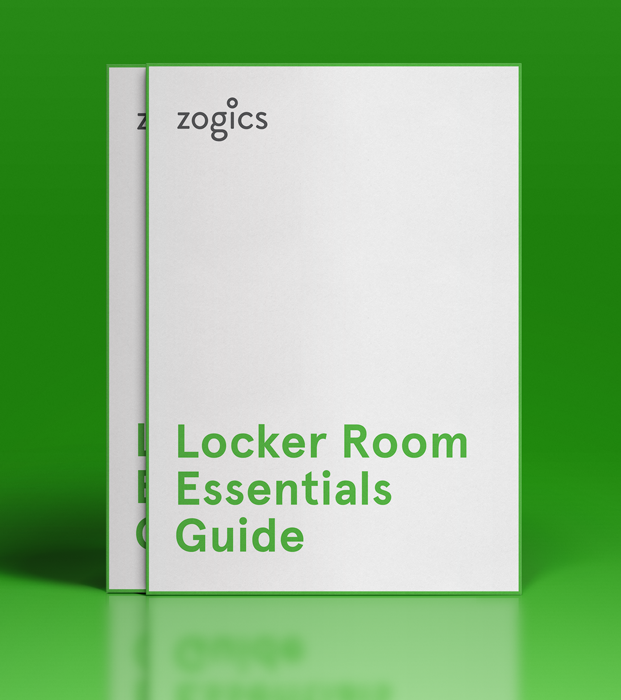 When creating your gym cleaning checklist, be sure to put the locker room at the top. Locker rooms tend to be rife with bacteria, germs and other grime. After all, this is the place where sweaty workout warriors head after an intense day of lifting and running. They shed their sweat-laden clothing, hop in the shower, use the bathrooms and change into fresh clothes. As a result, these spaces are hotbeds for the spread of germs, viruses etc. One of the worst case scenarios is the spread of infection caused by MRSA. MRSA can result in a trip to the emergency room. It will likely require antibiotics and might even require surgery. Have your cleaning staff key in on sanitizing your facility's locker rooms to prevent the spread of germs and superbugs like MRSA. A superficial cleaning of your locker room once per day will not suffice. Put sanitizer sprays, gym equipment cleaning wipes, paper towels, soap, band-aids, Kleenex and other cleaning supplies directly at the top of your gym cleaning checklist. Your staff should perform a thorough cleaning at least once per day to reduce the odds of a superbug or other nasty germs/viruses from harming your members. Furthermore, encourage members to disinfect scrapes, abrasions and cuts so they aren't exposed to superbugs like MRSA. Stock some band-aids and other bandages so your members can keep their cuts covered during their workouts. Check out our locker room guide! The last thing your members should have to think about when lifting weights or running on a treadmill is exposure to germs. Unfortunately, some workout warriors go to the gym when sick. Some sneeze on machines. Others wipe their nose with their hands and proceed to perform a series of reps. One of the potential problems with sharing exercise equipment is that it creates a fertile breeding space for Staphlococcus Aureus infections, commonly known as “Staph infections”. It is imperative that your cleaning staff makes use of gym equipment cleaning wipes multiple times per day. They should apply gym equipment cleaning wipes to machines, weights and all other exercise equipment. If these wipes aren't at the top of your gym cleaning checklist, put them there now. Some gym owners even leave gym equipment cleaning wipes by workout equipment so members can clean items they believe to be dirty. Just be sure to keep a trash can or two in each section of your workout facility for easy disposal of the gym equipment cleaning wipes. Furthermore, discourage members and staff from sharing towels with one another. The sharing of towels is one of the top causes of Staph infections. Those who do not wear footwear in the shower are especially prone to the transmission of fungal infections. Encourage your members and staff to wear protective footwear when showering at the gym. Even a light pair of flip flops will help guard against the spread of infections. Also, be sure to have plenty of towels available for members to fully dry their feet before slipping on their socks and sneakers. Make sure your cleaning staff is thoroughly cleaning all of the mold out of showers, especially in those hard-to-reach corners and crevices. Most people assume that working out will lead to a chiseled body. Unfortunately, improper form can lead to some nasty injuries. Hire fitness-savvy gym staff who can help members perform exercises with the proper technique. Encourage members to ask your fitness professionals for assistance when unsure as to how to use specific machines. Do not lose sight of the fact that some gym-goers are returning to exercise after years of inactivity. If you have spinning classes with complex exercises performed while pedaling, warn members of the difficulty level. Some classes involve frequent thrusts, squats and other moves that are quite strenuous while pedaling. Steer the less experienced gym-goers toward classes and equipment that isn't as intense and you will reduce the odds of an injury.